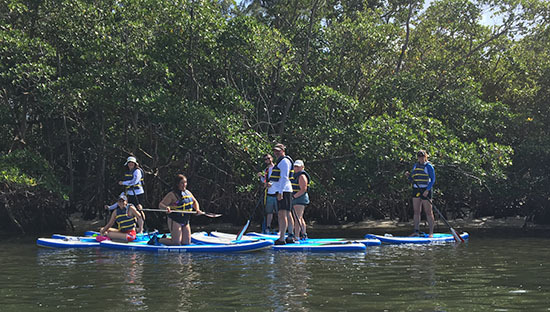 Join Gumbo Limbo Nature Center for our on-water adventure programs! We are offering nature programs by canoe, kayak, and stand up paddle boards. Space is limited so be sure to register in advance by clicking on the date for each program. Online registration closes 48 hours before the start of a program; after that time, call (561) 544-8615. Registration is required, we cannot accept walk-ins. These programs are subject to cancellation if a minimum sign-up is not reached 48 hours before the start of the program. Programs are subject to cancellation due to inclement weather. For ages 6-adult; children under 18 must sign-up and participate with an adult.